Fiddler’s Creek is a master-planned community in scenic Naples, Florida. Fiddler’s Creek offers plenty of options for a relaxing and low-maintenance lifestyle. Homebuyers have a wide selection of floor plans to choose from as well as a variety of unique villages each with its own charming neighborhood features. Fiddler’s Creek also provides resort-style amenities and social events that are sure to keep homeowners busy all year long. Fiddler’s Creek is spread across 3,931 scenic acres and surrounded by tropical landscapes that enhance the natural beauty of this private community. Located off Collier Boulevard, Fiddler’s Creek in Naples also offers easy access to major highways, shopping, dining, and attractions. Nearby Marco Island provides more entertainment and water activities for residents of Fiddler’s Creek. Residents of Fiddler’s Creek must purchase a membership to enjoy all of the amenities at the Club & Spa. This luxurious 54,000 square-foot clubhouse is the tropical oasis of social and physical activity for homeowners in Fiddler’s Creek. Members can utilize the state-of-the-art fitness center that is equipped with the latest cardiovascular and weight-training machines. They can also take a fitness class or meet with a personal trainer in the aerobics and dance studio. Residents can relax in the steam room, sauna or at the day spa for the ultimate therapeutic experience. The day spa offers a variety of services such as massages, body wraps, facials, plus more. After a great workout or relaxing day at the spa, homeowners can enjoy eating at either Caxambas or The Gator Grille. These private restaurants offer fine or casual dining with a delicious menu for any occasion. Members can also enjoy the spectacular outdoor amenities. The resort-style multi-pool complex features lagoon-style pools, a lap pool, kiddie pool, waterfalls, and waterslides. There is also a whirlpool spa with a shaded gazebo and spacious sundeck where residents can enjoy the Florida sunshine. Another great feature is the poolside beverage, towel and lotion service available to members. There are also six Har-Tru tennis courts, walking and biking trails, and a tot lot. With 750 acres of nature preserves, residents can enjoy all of the outdoor scenery within their community. Homeowners can choose to join the Golf Club at Fiddler’s Creek. The stunning 18-hole Creek Course, designed by Arthur Hills, is ranked as one of the top 100 residential golf courses by GolfWeek magazine. Also, members will be able to enjoy the upcoming 18-hole Preserve Course, which is sure to please golfers of all skill levels. The golf pro shop and practice facilities are other great conveniences for members to utilize. The Tarpon Club is another private facility. Membership is optional, but required in order to use these amenities. Members of The Tarpon Club have access to a beach pavilion, concierge, beachfront bar and grill, restaurants, locker rooms, private beach access, marina, and can rent dry boat storage and wet slips. Construction of Fiddler's Creek began in the early 1990s and will consist of 6,000 homes with 100 neighborhoods upon completion. A variety of builders have constructed homes within Fiddler’s Creek with luxurious features and elegant floor plans. Some of the current builders include Taylor Morrison, Ashton Woods, Stock Homes, D.R. Horton, and Lennar. Homeowners have a variety of home styles to choose from such as attached, single-family and custom estate homes. All residences are grouped within neighborhoods called villages that feature distinct styles, views and features. Attached homes range from 1,741 to 3,029 square feet of living space. These homes are usually in a cluster of buildings with four or eight units per building. They have three bedrooms, two or three bathrooms, and attached two-car garages. These homes can be found in the villages of Sonoma, Callista, and Serena. There are a variety of single-family homes throughout Fiddler’s Creek villages. Single-family residences range from 1,649 to 4,655 with two to five bedrooms, two to five bathrooms, and two or three-car garages. Most homes feature dens, gourmet kitchens, spacious layouts, and some residences have scenic water or golf course views. Homebuyers can find single-family homes in the villages of Millbrook, Oyster Harbor, Amador, Mussorie, Marsh Cove, Chiasso, Majorca, Runaway Bay, and Mahogany Bend. Custom estate homes can be found in the Isla del Sol village. These spacious homes offer 3,597 to 4,246 square feet of living space with three or four bedrooms, a den, four or four-and-a-half bathrooms, and three or four-car garages. These residences feature single-level living, gourmet kitchens, elegant master suites, luxurious fixtures, and some have water or golf course views. Homeowners in Fiddler’s Creek can be as active and social as they choose. They have a wide selection of classes, events, clubs, and activities to participate in with neighbors. Residents can attend seminars, a Super Bowl party or writing class. They can play tennis, golf, bridge, or Mah Jongg. Fiddler’s Creek also hosts a number of seasonal events, themed and holiday parties throughout the year including Fall Gala, Christmas dinner specials, St. Patrick’s Day lunches, and Easter Sunday brunches. Located in Naples, Florida, Fiddler’s Creek offers homeowners a great place to call home. Naples provides residents with easy access to many attractions and recreational options only a few minutes away. Homeowners can shop at Fifth Avenue or attend events at the Philharmonic Center for the Arts. Marco Island, only 15 minutes away, offers plenty of boating, fishing, and other water activities. The beautiful beaches of Naples and the Gulf Coast provide great areas for sun bathing and swimming. Easy access to major highways makes driving around the city a breeze. Homeowners can take fun road trips to Bonita Springs or Fort Myers, which both can be reached in about an hour. Residents can also board a flight at Southwest Florida International Airport in Fort Myers. Fiddler’s Creek offers a great selection of home designs, resort-style amenities and plenty of social events as well as a convenient location for homebuyers in Collier County. Club & Spa - 54,000 Sq. Ft. Membership is optional but required to use the golf amenities. Membership is optional to join the Tarpon Club but required to use the facilities. There are plenty of activities available in Fiddler's Creek. Here is a sample of some of the clubs, activities and classes offered here. Sonoma consists of 11 buildings with four residences per building. These attached homes are built by Lennar and range between 1,741 and 2,110 square feet of living space and have three bedrooms, two bathrooms, and an attached two-car garage. Callista village has 17 buildings with eight units per building. These coach homes range from 2,237 to 3,029 square feet of living space with three bedrooms, three bathrooms, and an attached two-car garage. Residents of the Callista neighborhood have access to a private community pool. The Serena village features 30 buildings with four units per building. They range between 2,408 and 3,010 square feet of living space with three bedrooms, a den, three bathrooms, and an attached two-car garage. Residents of Serena neighborhood have access to a private community pool. These single-family homes are built by Lennar and offer 1,649 to 2,246 square feet of living space. They have two to four bedrooms, two or three bathrooms, and an attached two-car garage. These residences feature a Mediterranean design and are located in the Millbrook neighborhood. Oyster Harbor features luxurious single-family homes built by Taylor Morrison. These residences range from 1,676 to 3,439 square feet of living space. They have two to three bedrooms, two to three-and-a-half bathrooms, and an attached two-car garage. The villages of Amador and Mussorie each consist of single-family homes built by Taylor Morrison and offer 1,856 to 3,144 square feet of living space. They have two to three bedrooms, two to three-and-a-half bathrooms, and an attached two-car garage. Single-family residences within Marsh Cove feature scenic golf or water views. These detached homes were built by Ashton Woods and range from 2,570 to 4,655 square feet of living space. They have three to five bedrooms, three to five bathrooms, and three-car garages. Please Note: Floor plans are not available at this time. The Chiasso Village located within the Veneta section of Fiddler's Creek offers single-family homes built by D.R. Horton. These residences range from 2,583 to 3,522 square feet of living space. They have three to four bedrooms, three to four-and-a-half bathrooms, and a two or three-car garage. Single-family homes in the Majorca village were built by Stock Homes and range from 2,719 to 2,949 square feet of living space. They have three bedrooms, a den, three to four bathrooms, and three-car garages. Many of these homes have views of the fairways and feature Mediterranean designs. Runaway Bay features single-family homes built by Lennar. 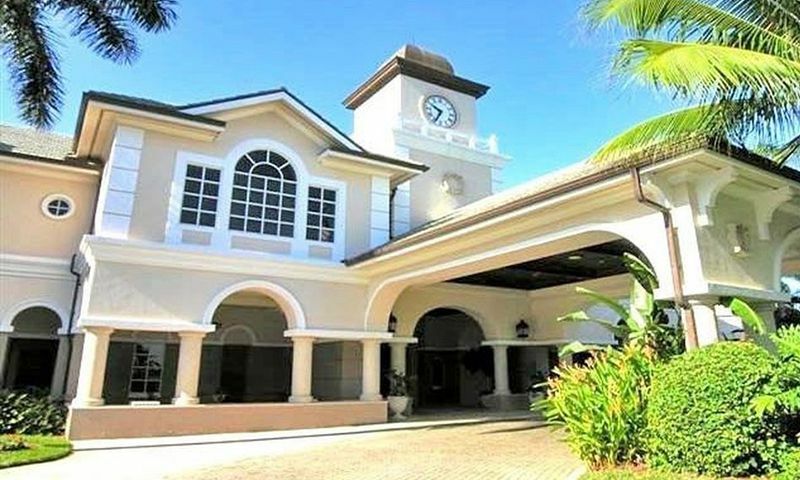 These residences feature Mediterranean exteriors and are located near the golf course. They range from 2,800 to 3,659 square feet of living space and have three to four bedrooms, a den, two-and-a-half to four bathrooms, and three-car garages. The single-family residences of Mahogany Bend, built by Stock Homes, feature 3,174 to 3,525 square feet of living space. These single-family homes offer four bedrooms, a den, three-and-a-half to four-and-a-half bathrooms, and three-car garages. Most of these residences have golf or water views, and all offer spacious floor plans and gourmet kitchens. Custom estate homes within the Isla del Sol village feature single-level floor plans with three to four bedrooms, four or four-and-a-half bathrooms, and three or four-car garages. These custom single-family homes have water or golf course views, spacious gourmet kitchens, and luxurious fixtures. I love the neighborhood of Fiddler's Creek. Newer homes and a nice resort feel. Residents are friendly at the welcome center and the clubhouse. The golf course is fantastic! Highly recommend! 55places.com is not affiliated with the developer(s) or homeowners association of Fiddler's Creek. The information you submit is distributed to a 55places.com Partner Agent, who is a licensed real estate agent. The information regarding Fiddler's Creek has not been verified or approved by the developer or homeowners association. Please verify all information prior to purchasing. 55places.com is not responsible for any errors regarding the information displayed on this website.